How do I start a divorce attorney Omaha action? A divorce action starts by filing a Complaint for Dissolution of Marriage with the Clerk of the District Court. The filing party is required to serve the other party with the Complaint. The Complaint gives the Court and the other party notice what is being requested. Filing and serving the Complaint, in itself, does not grant any relief requested in the Complaint. Where do I file the divorce action? At least one spouse must have resided in the State of Nebraska for at least one year before a divorce action can be filed in Nebraska. The divorce action is then filed in a county that a party is residing in Nebraska. At times, a legal separation can be filed in Nebraska when the 1 year jurisdictional requirement has not been met. The legal separation action can often be converted to a divorce action once the 1 year requirement is met while the action is pending. How do I serve the other party with a divorce action? If the other spouse will cooperate, the spouse can sign a Voluntary Appearance that acknowledges receiving the Complaint and waives the requirement of service by the sheriff. If the other party won’t sign a Voluntary Appearance, generally a document called a praecipe must be filed with the Court. The Court then issues a summons due to the praecipe. The summons and the Complaint are then provided to the sheriff to serve the action. In Omaha, Nebraska, a party has 30 days to file an answer after being served with the divorce. An answer usually responds to each paragraph in the Complaint with whether the party admits or denies each paragraph of the Complaint. The answer often includes a counter complaint with what the served party is asking for in the divorce. If there are children involved or a request for alimony while the case is pending, then there is often a motion for temporaries filed after the Complaint is served. At the temporary hearing, the Court will often decide the parenting schedule to stay in place while the case is pending, as well as order child support or potentially temporary alimony. If the only issues are assets/debts, sometimes a temporary hearing is not necessary. How soon will the trial be set? 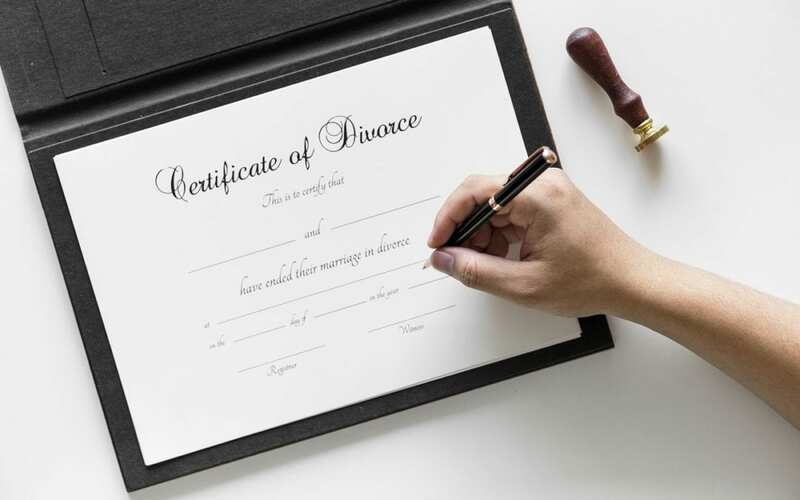 There is a 60-day mandatory waiting period after service before a divorce can be finalized in Nebraska. Some judges set a trial date soon after the other party is served. Other judges set a trial date later in the case, such as at a status hearing or pre-trial hearing. These types of hearings are usually held after the case has been pending for a number of months. Discovery is a very useful way to give both parties and their attorneys a clear picture of all assets and debts with proof to support what these are. Generally, any document that is going to be an exhibit at trial is exchanged through discovery. How does the Court decide child support in Omaha? Child support is calculated pursuant to the Nebraska Child Support Guidelines. The Guidelines are an algorithm where you input both parties’ incomes into a calculator to determine child support. There are a limited number of credits given, including for carrying health insurance, contributing to a retirement account, and paying child support for other children. How does the Court determine alimony/spousal support? Unlike child support, there is no set formula to determine whether to order alimony/spousal support and at what amount. The Court takes into consideration many factors, including the parties’ monthly incomes and expenses, the length of the marriage, and whether a party’s career opportunities were limited due to contributions to the home, such as raising children. The law in Omaha, Nebraska is clear that spousal support is not to equalize income or to punish a party. Instead of spousal support while the case is pending (temporary spousal support), sometimes the Court will order a party to pay a certain expense instead, such as the mortgage payment. Who gets the house in the Omaha divorce? The Court uses many factors to determine who to award the home. A parties’ ability to refinance the home into their sole name after the divorce is a major consideration. Proof of being able to refinance the home into their sole name can help convince the Court to award the home to that party. Other times, the Court is influenced by what makes sense in the overall asset division. If the home was owned by one party prior to the marriage, they are more likely to be awarded it. The party living in the home at the time of the divorce is more likely to be awarded it, especially if the children are also residing in the home. Shouldn’t you hire a divorce and family law attorney in Omaha you can count on? Because trial is not always the best option, our clients also count on us to fight for them at all the pretrial stages of their case. We work to resolve issues outside of the courtroom when possible to keep costs low and tensions to a minimum. If you are faced with a divorce, child custody, or child support action, contact Fowler & Kelly Law, LLP, the best Divorce Attorney Omaha.